I'm new,just registered less than a minute ago. I haven't got a secu-3 yet. For registartion I had to say to have one. I have a question, what must I download to use the ecu? Please give me a link because I never did something like that. I was inspired bya that. Zastava128 wrote: I have a question, what must I download to use the ecu? Do you want to make the SECU yourself or buy from us? I can't build it by myself. I'd like to learn how to use it before buying. I'm looking for the car too,at the moment I go on foot. I hope to be able to install the program to see the screenshoot and manage it. The yellow 128 was an old idea,some days ago I found the ad I took the picture. I'm interesting in some tuning part too. A cluster with a tachometer(rev conter) and clear rear lights. I collected a genuine Veglia Borletti cluster. I found something for Lada/Vaz that looks similar,the same style. Rear lights from 2101 are bigger tha 128's or not? I saw the clear lights. Sorry for the studip question, what is the first file that i must download for a virtual mapping on my pc? Zastava128 wrote: Rear lights from 2101 are bigger tha 128's or not? I don't know. What size have your rear lights on 128's? Zastava128 wrote: Sorry for the studip question, what is the first file that i must download for a virtual mapping on my pc? You can view parameters (right side) and maps (left side) in this window. What about knock sensor? I know that it's possible to fit. What and how? Fiat Uno and Punto turbo have one from factory. The engines are similar. May I use that? 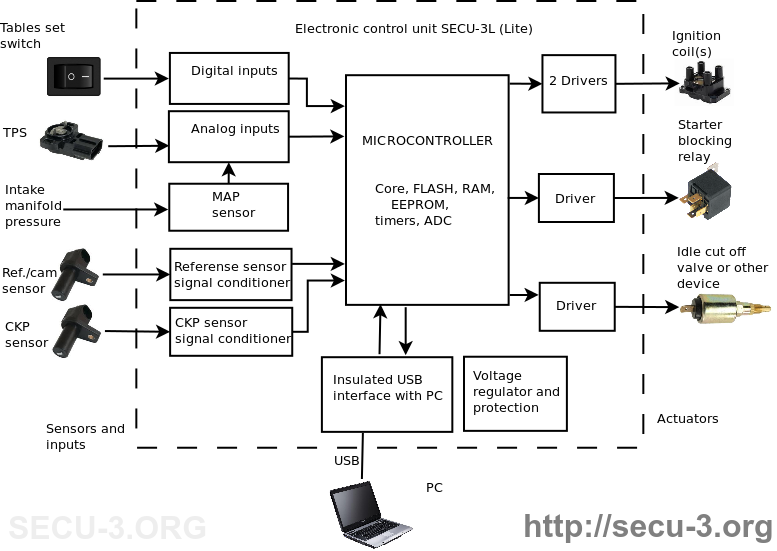 Knock sensor and detonation control are supported by SECU-3. Install knock sensor on your engine in the same way as it is installed on Fiat Uno and Punto. After installation knock sensor requires calibration (SECU-3 Manager has a special tab for knock settings). An expert in computer and files. The car project is stopped now. I saw special offers and the new lite ignition, congratulations! 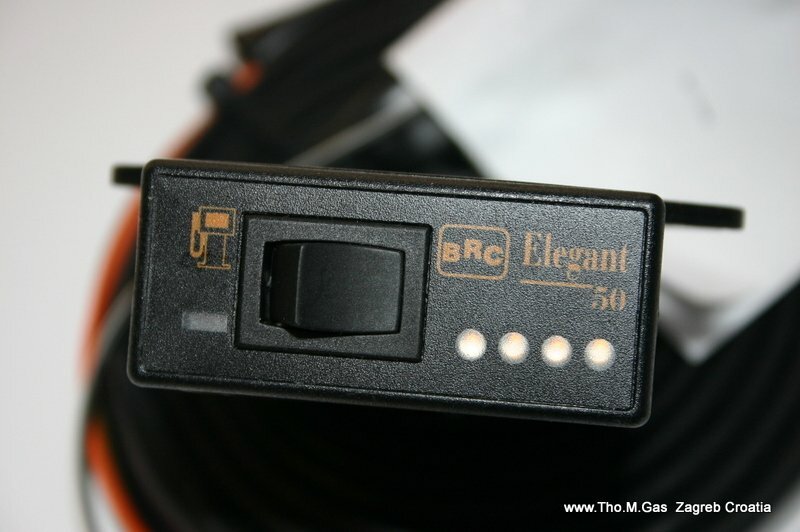 Does it take just CKP sensor,coil pack and wiring loom? What about that relay? I didn't understand. If you don't use the second CKP sensor you can use the coolant temperature sensor if you want. I'm not interesting in idle cut off valve, I saw it. Maybe it can be replaced by a bolt or I'm wrong? I don't know what the throttle limit switch and the gas valve are. May you show some pictures,please? How do they work? I have a question from a friend,can secu 3 replace the ignition ecu on Renault 5s? I know that your ecus are universal but I don't know that Renault ignition. Sometimes I attend this forum to try to learn, if you can add screen shot pictures too when you update threads,please. 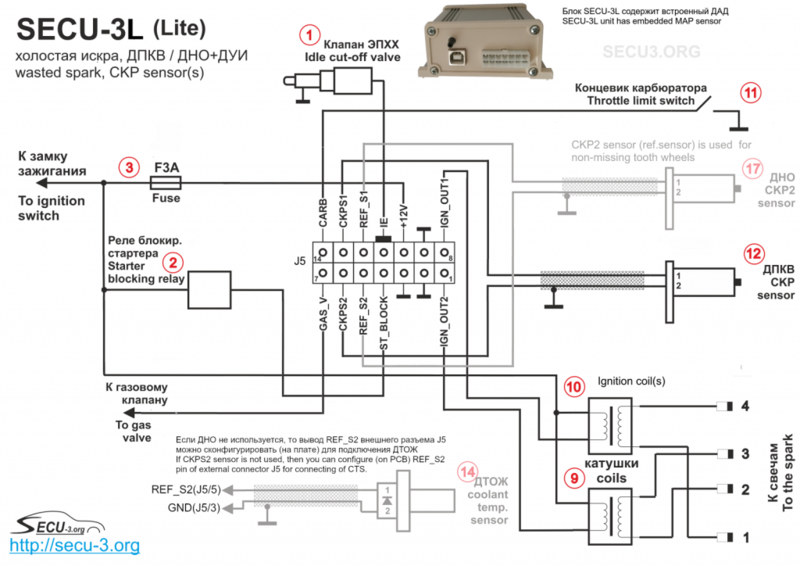 For proper work of system with SECU-3 Lite you need only SECU-3 Lite unit, one CKP sensor and ignition coil(pack). All other components are optional (throttle limit switch, Idle cut off valve, starter blocking etc). If you don't use them, you can remap in the SECU-3 Manager free outputs for other functions. Coolant temperature sensor is not supported in current revision of PCB and next revision will come up soon. Throttle limit switch is necessary to indicate that throttle is closed. 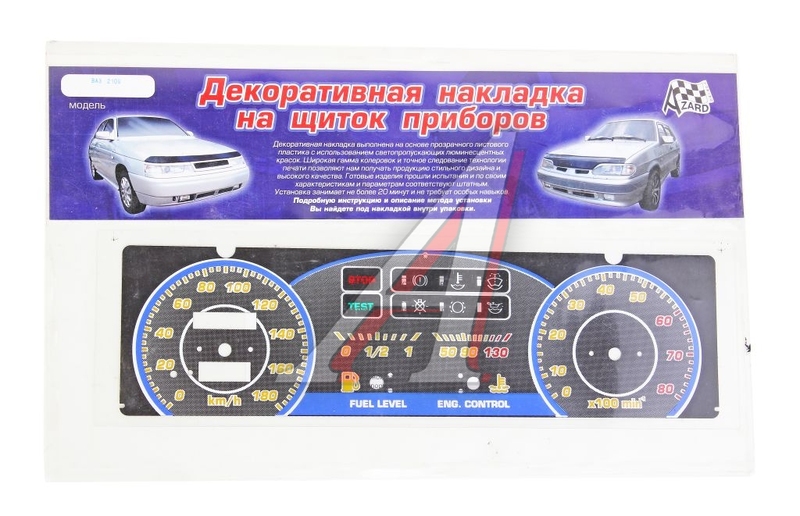 It is used to distinguish between idle and work modes. Of course, it is not obligatory. GAS_V is input intended to switch between two different sets of maps. 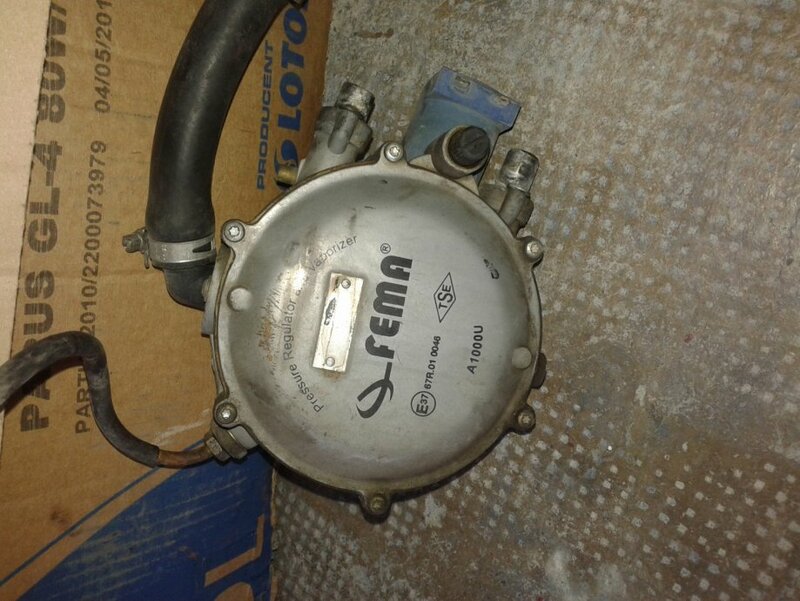 So if you use gas equipment, you can connect this input to gas valve and system will automatically switch between gas and petrol maps. Anyway, you can simple use this input to switch between 2 sets of maps. Please supply us with more information, let's start with synchronization method. Which sensor is used for determining of crankshaft position? I don't know that ignition,the picture is taken from an ad. That's the whole ignition system,they said so. 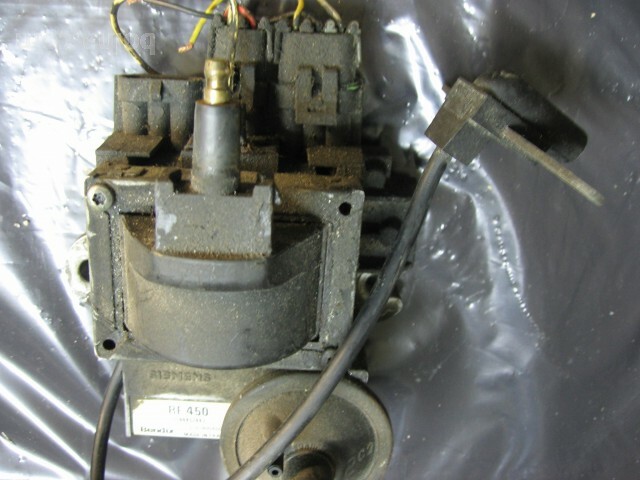 The sensor is shown in that picture,it's on the gerbox bellhousing. the last missing part is the distributor. The engine is N/A, the car was for slovenian market,maybe it's little different,I don't know. 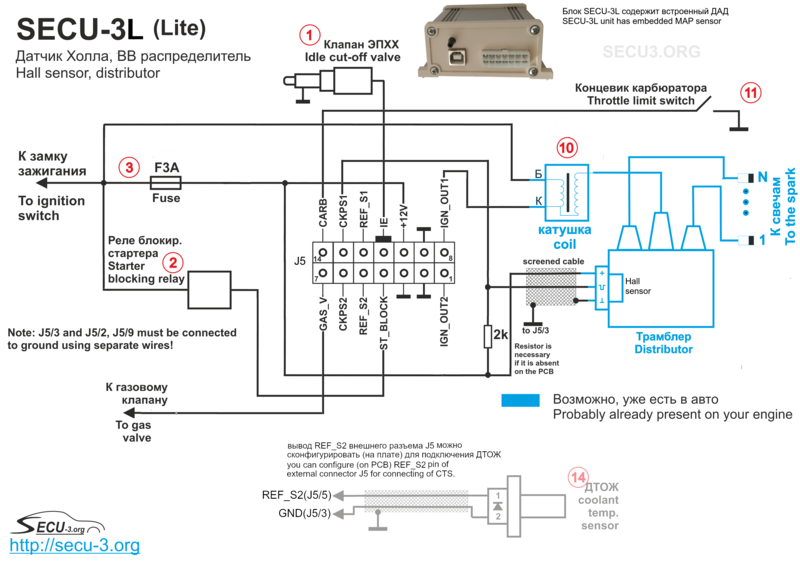 I can look for infos regarding 5GTT,maybe it's the same ignition. 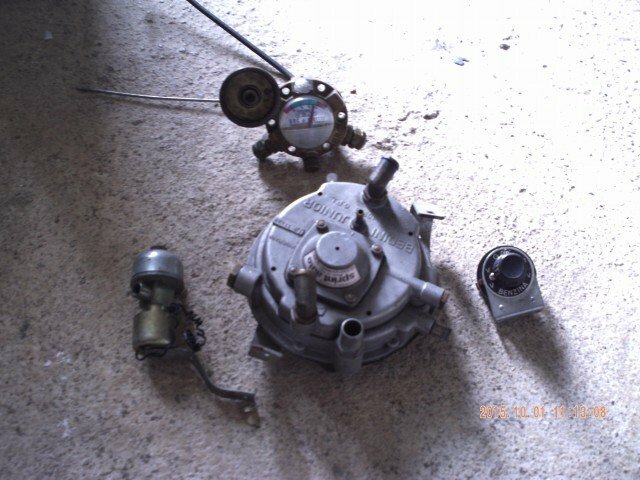 I understood what the gas valve is. I must use the wire from switch to the valve to select the second map in case of bi-fuel or I can add a switch for 2 sets of maps anyway. I found the ad of a very old gas equipment. I'll look for more infos. I didn't understand that starter blocking relay is an output too. In that case there are two outputs for other functions,the second is the idle valve cut off one. The third ouutput is IGN_OUT2.